Cricket bats made for batsmen. When I started Affinity in 2012, I had one desire and that was to make the best tool for the batsman that I could. 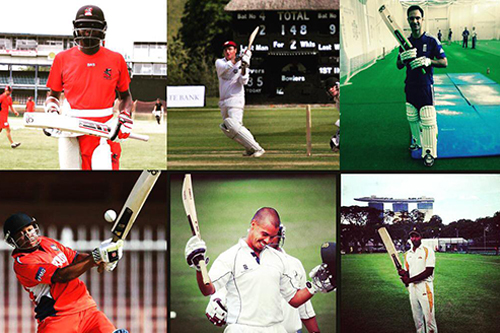 In the last five years I've been lucky enough to make for several international and 1st class cricketers both past, present along with nearing 1000 blades for club cricketers spanning 16 countries. As question that's often asked because of this is "What makes a good professional cricketers bat? and what are the differences between what we (the customer) gets and them (the professional player)"
My answer is quite simple, I make each bat individually and with the same care and attention to detail. Honestly, most professional players I have dealt with have cared less for grains than the average consumer and more about the performance and feel. This is how it should be for all bats. Whilst we are swayed by trends, my job is to make you a tool in which to score runs. To get you what works and is an extension of you as a player. Many companies make bats for cricketers, Affinity makes bats for batsmen.